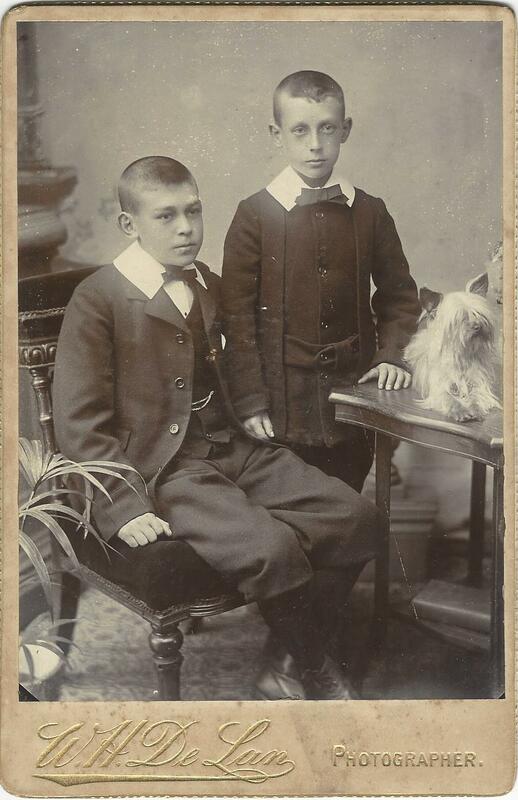 W. H. De Lan took on the challenge of photographing the two boys and their dog featured in this cabinet card portrait. Dogs tend to have difficulty comprehending photographer’s instructions so producing a good photograph of a dog is quite a respectable feat. The compliant dog in this photograph appears to be a Yorkshire Terrier. The boys in this image are well dressed and the seated child has a pocket watch. Research yielded little information about W. H. De Lan. One source stated that he operated his studio in Bridge End which is a village in Northumberland, England. A second source reported that he was a photographer in Bradford, a borough of West Yorkshire. 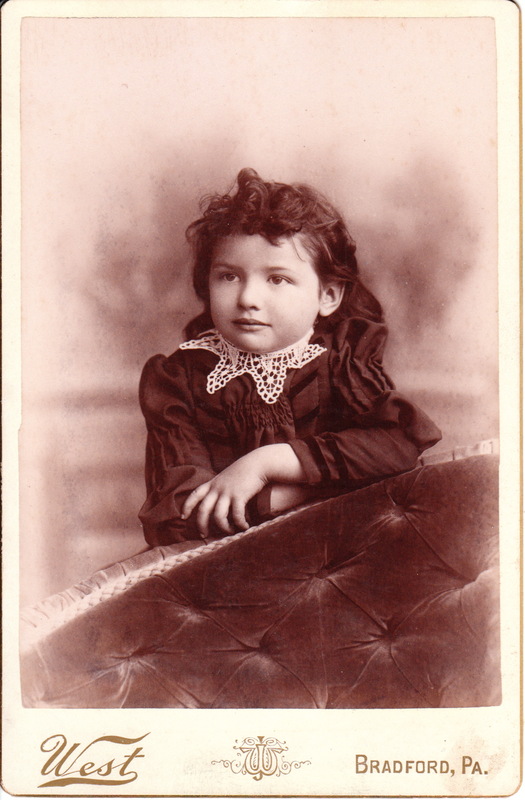 An adorable little girl (possibly a boy) poses for her (his) portrait at the West studio in Bradford, Pennsylvania. 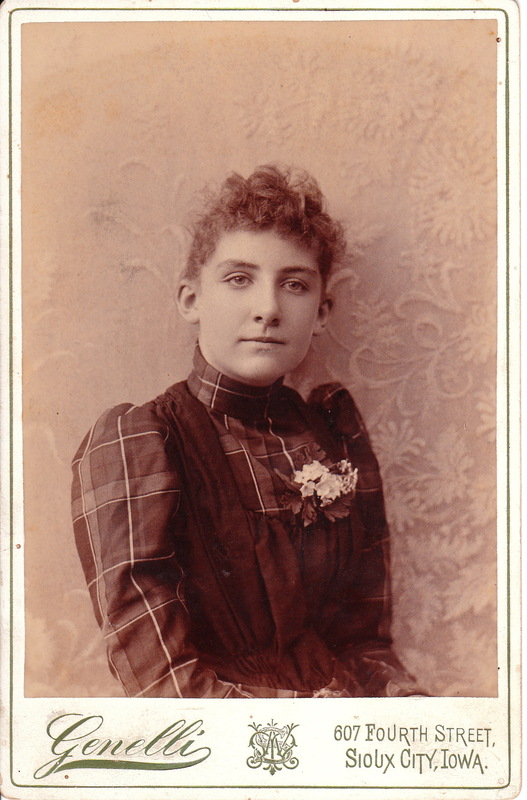 A pretty young woman appears in this portrait photograph from the Genelli studio in Sioux City, Iowa. She is wearing a lovely plaid dress with a corsage. 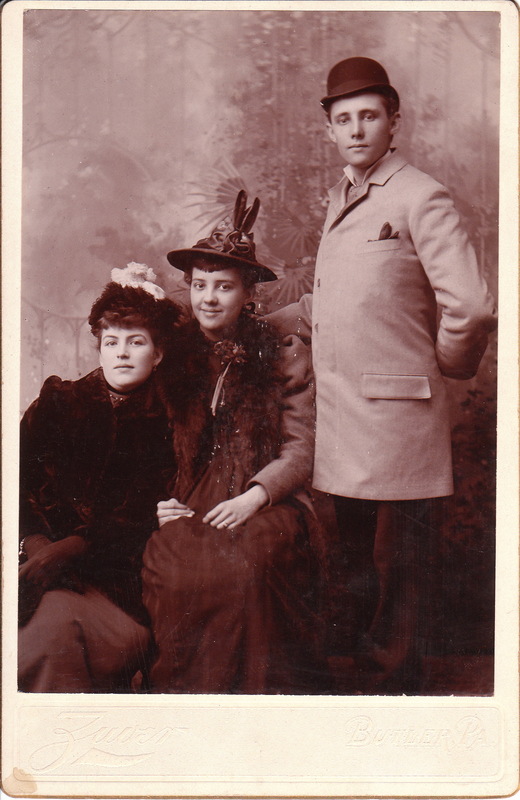 The reverse of the cabinet card indicates that the proprietor of the studio was M. W. Starks. The book, History of the Counties of Woodbury and Plymouth Iowa (1890), reveals that M. W. Starks was born in Bradford, Illinois in 1851. 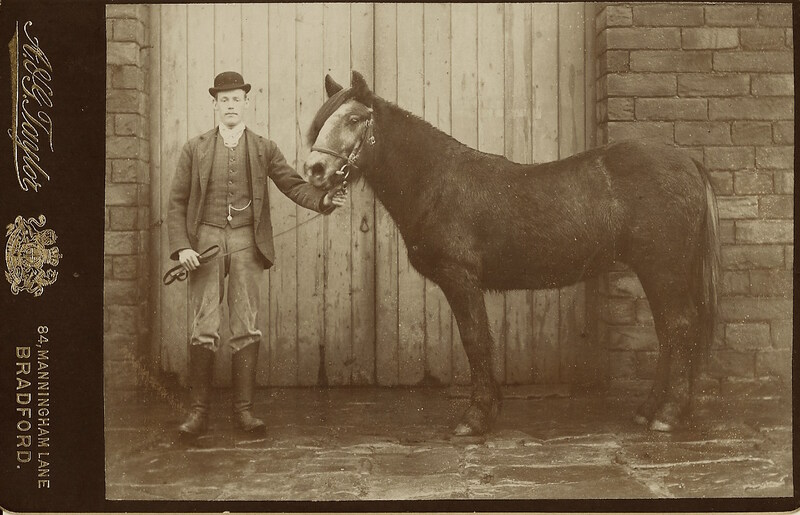 In 1872 he began apprenticing as a photographer and soon entered a career in this field. In 1883 he came from St Louis, Missouri to Sioux City and established the Genelli gallery. In 1884 he married Miss Hattie L. Harvey. To view other photographs by Genelli (both the St. Louis and Sioux City Galleries), click on the category “Photographer: Genelli”.